As e-mail volume continues to grow, we recognise your user's desire for an infinite inbox and the IT Admin's goal to be able to preserve and discover these mailboxes in a cost-effective manner. To help address these needs, Exchange Server 2010 introduces integrated archiving along with message retention and multi-mailbox discovery capabilities. 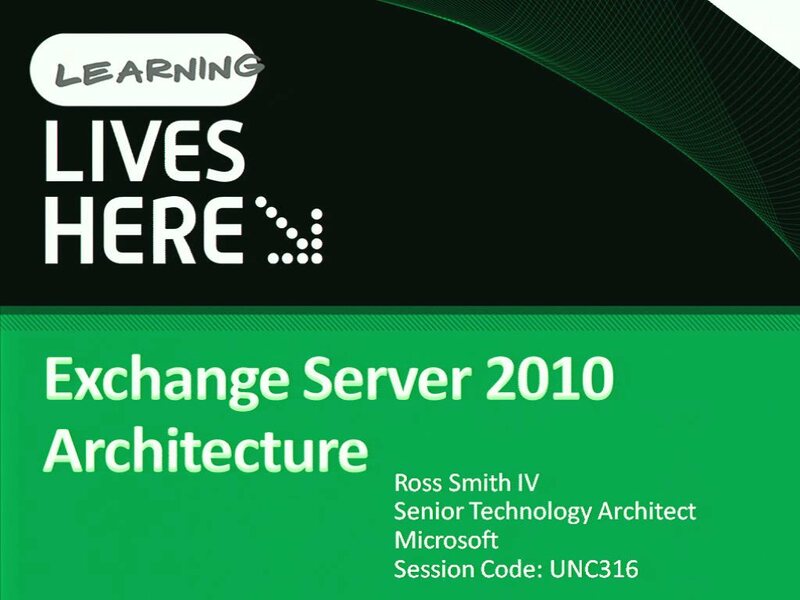 This session offers a technical deep dive and some demonstrations of the user and IT Pro archiving experience in Outlook and Outlook Web App, as well as Exchange Management Console and PowerShell. The session also highlights the message retention capabilities through Move and Delete Policies in Outlook, OWA and PowerShell, Hold Policy to preserve data for recovery in legal or accidental deletion scenarios, and e-Discovery with multi-mailbox search in the Exchange Control Panel.